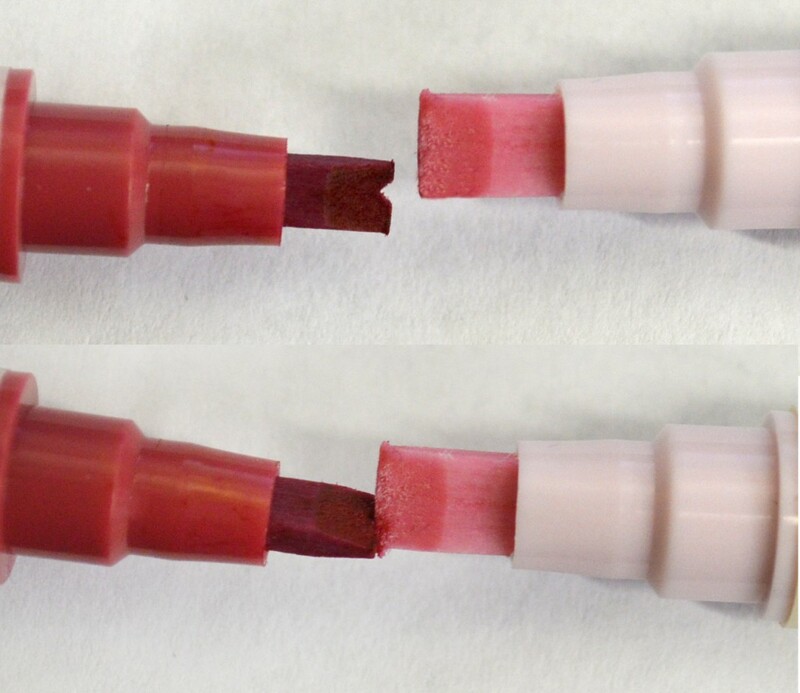 **Use caution with the Kurecolor ink. 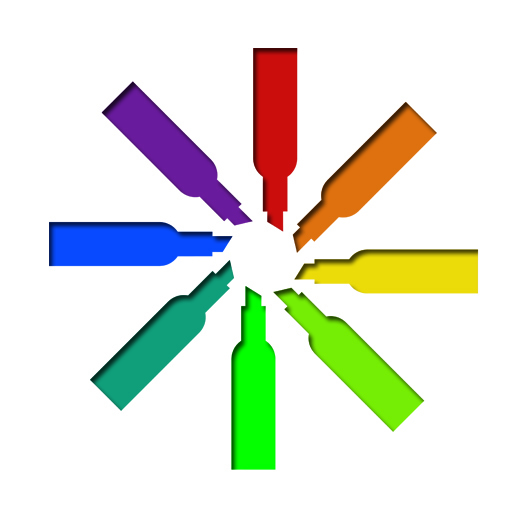 It is alcohol-based and can stain the surfaces that it gets on! Also, the ink content makes this project not suitable for young children to do. 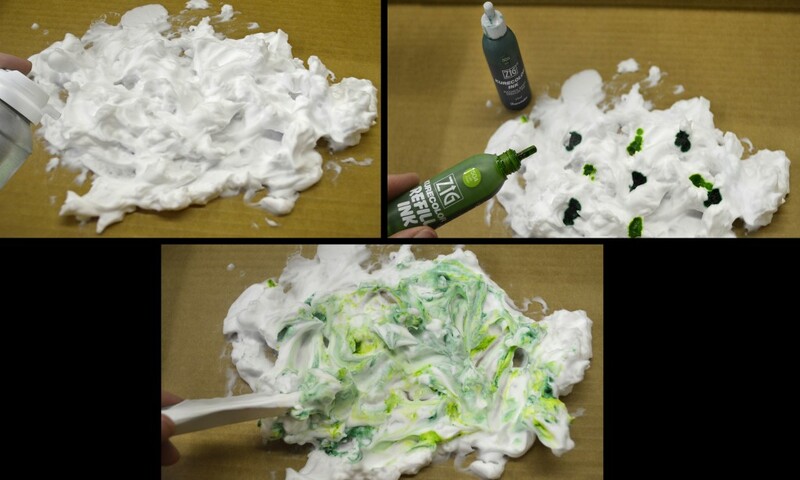 Make a layer of shaving cream in your tray. 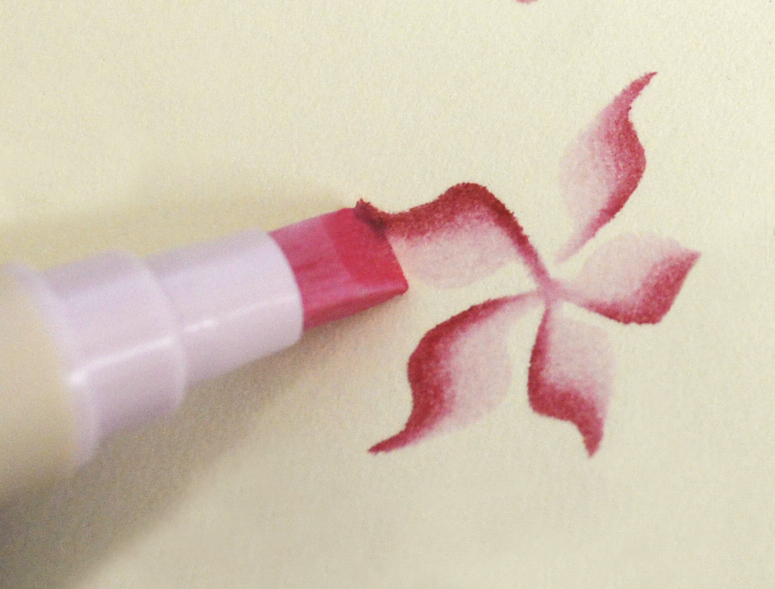 Using just a few dots of the ink, squeeze a few drops around the cream. Then swirl them around slightly. 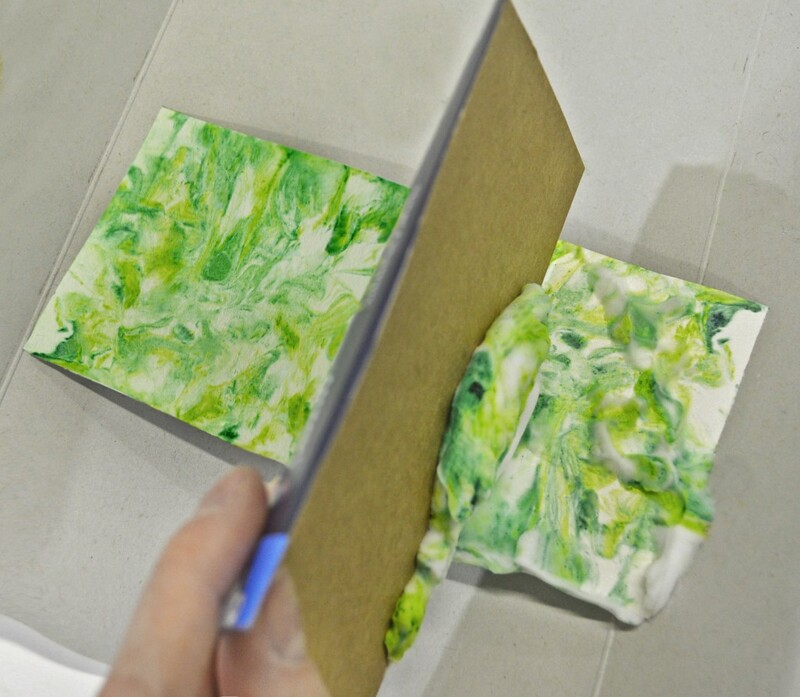 Lay your paper facedown over the top of the cream/ink swirl mixture and press it down slightly- making sure each part of the paper comes in contact with the mixture. And then gently lift the paper back out! Using a scraper, squeegee, or something flat- scrape off the shaving cream. Once it dries a little, you can use a paper towel to clean off any excess shaving cream residue. Your paper should be left with a unique marbled ink design! Experiment with different colors and swirling techniques to see what amazing looks you can create! 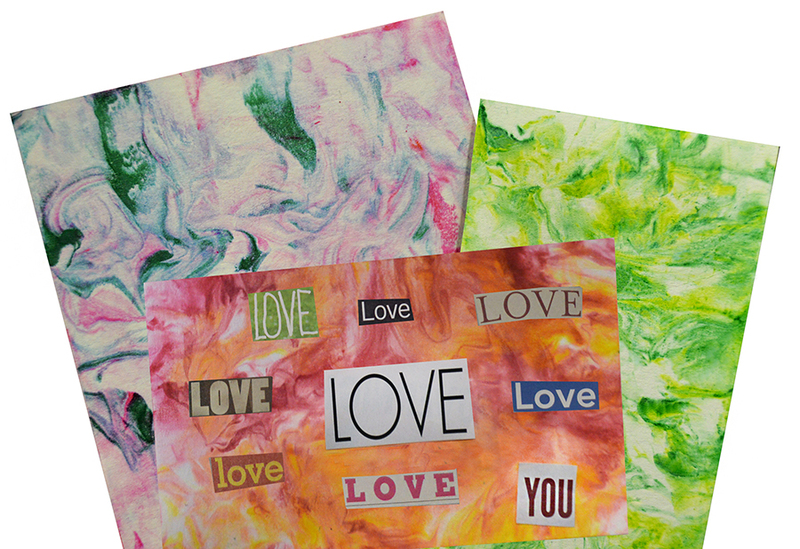 Once your papers are dry, you can then write on them or paste cut-outs on top to make one-of-a-kind cards and valentines! Another quick and easy way to make your cards have a fancy, professional look is to make some “two tone chisel tip” designs! Use a Zig Memory System Calligraphy Marker in a light color (we used Baby Pink) then take a darker color (we used Rose) in a marker like the split-tip Scroll and Brush and touch the darker marker to one edge of the lighter Calligraphy marker to let the color soak in a little bit. This temporarily allows you to write with 2 colors in each stroke of one pen! Make some curvy line “S” shapes in a circle to make flowers! These dual chisel tip markers are great for versatile lettering as well- combine writing and drawing with them to make your Valentine’s cards really stand out! Giving your Valentine flowers and sweet treats is a common tradition. 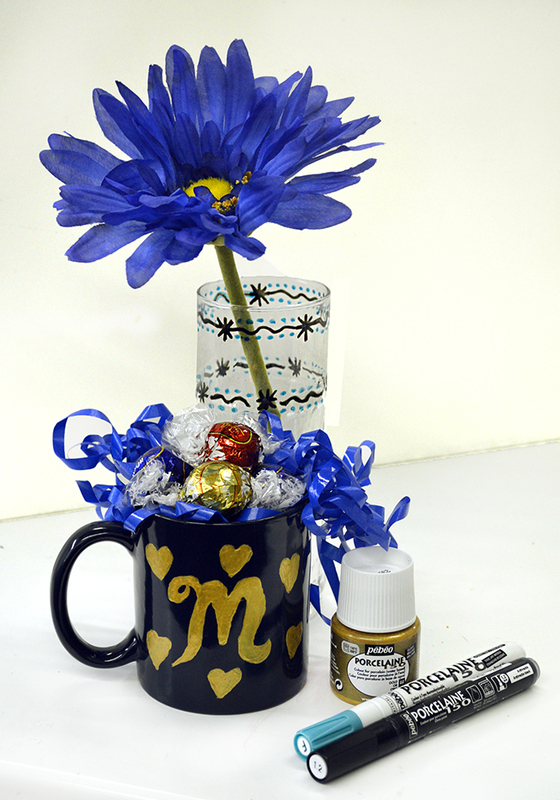 Take that idea one step further and give your gifts in a personalized vase or mug! Get a plain mug, vase, flower pot, etc. and use paint markers to make a custom design on them! If you paint an item that you plan to wash, stick with Pebeo paints and markers. They are specially designed for use on glass, porcelain, and china dishes and will stay on even if the dish is washed! **Read our blog about dish decorating to see more tips on how to correctly do a craft like this! Then add some goodies to your dish and there you have it- a great gift with that homemade touch! 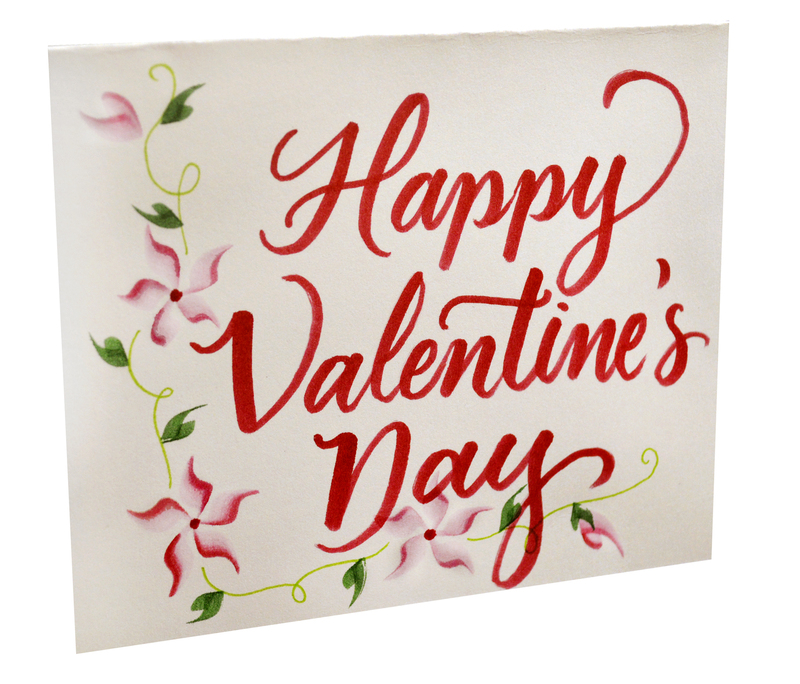 Marker Supply has a huge variety of pens and markers for any type of Valentine’s Day projects.. From cards and invitations, to mugs and vases, to fabric crafts, to posters and signs- we’ll have what you need to make everyone LOVE your Love Day projects!